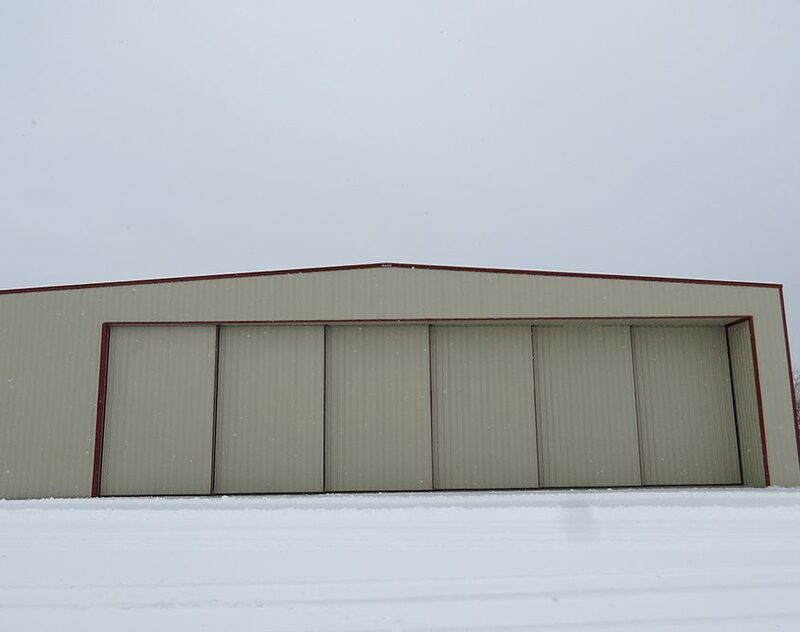 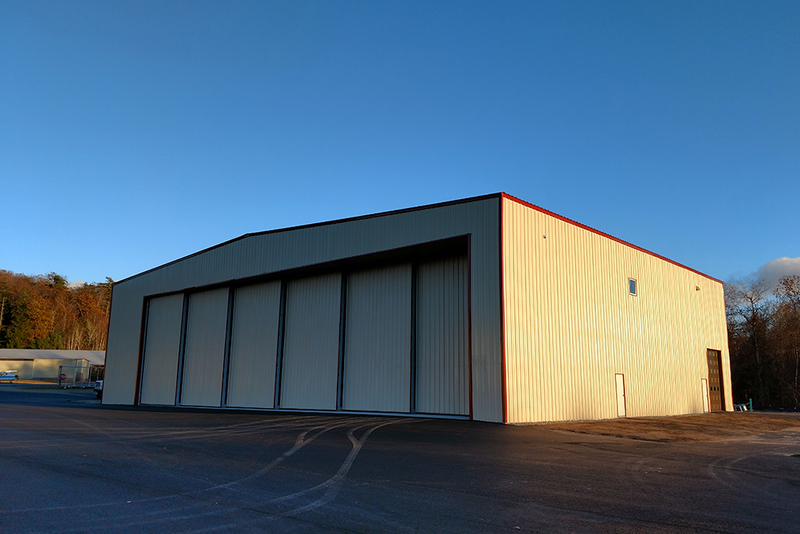 Once you have the basic design of your steel hangar nailed down, you can customize it based on need. 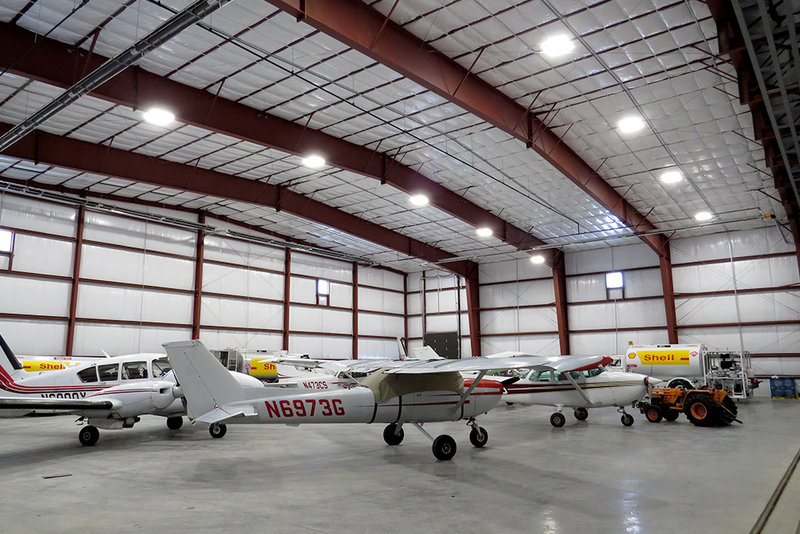 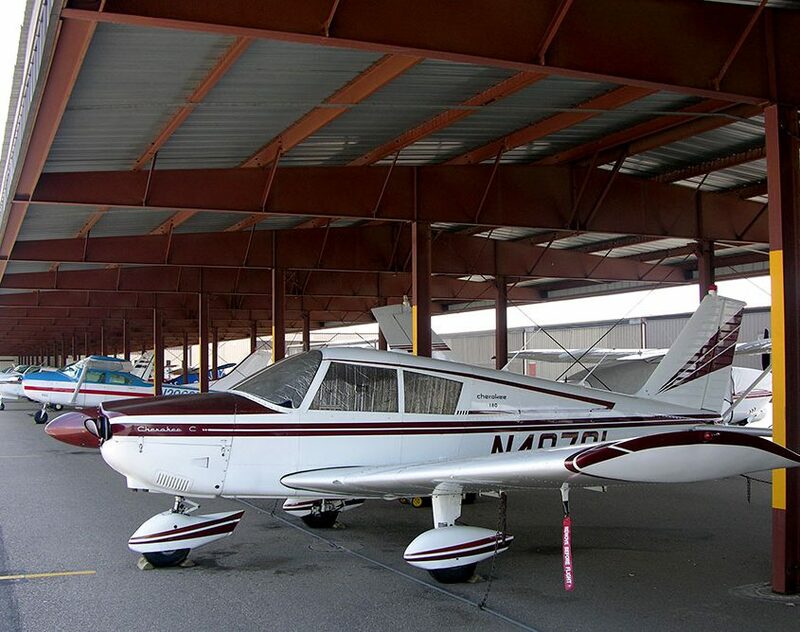 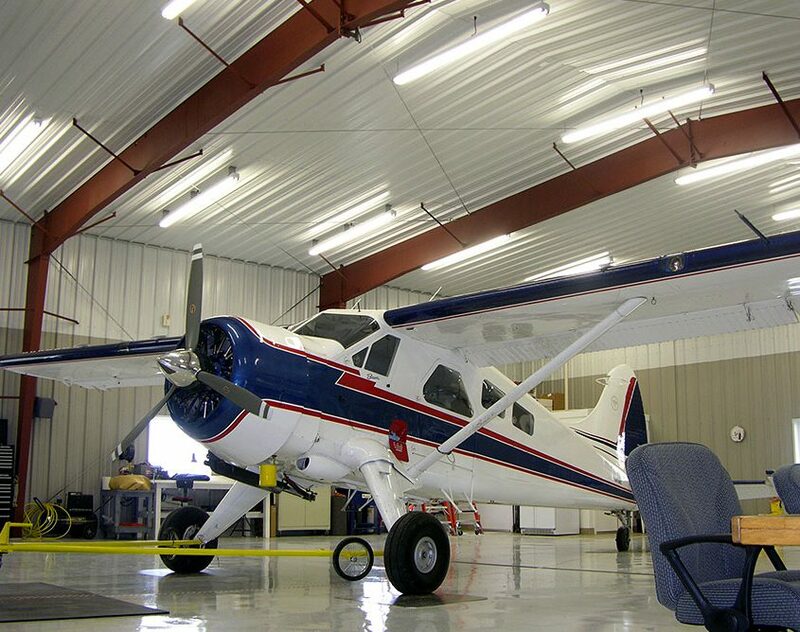 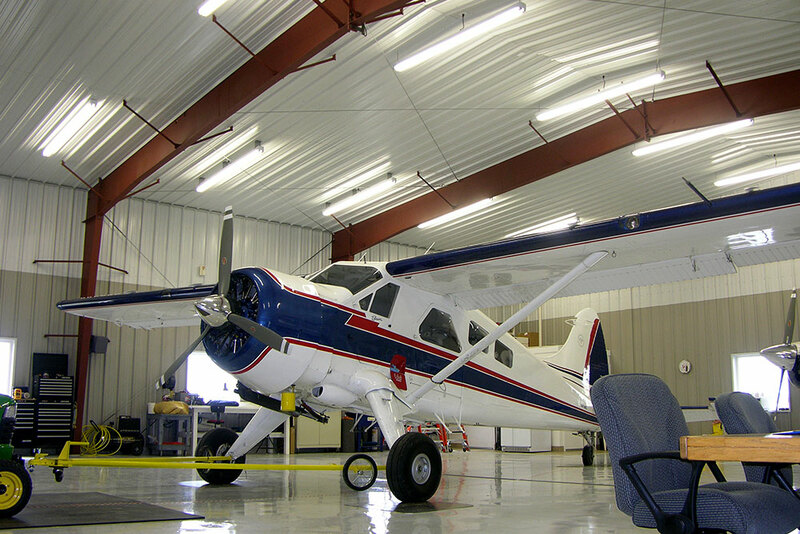 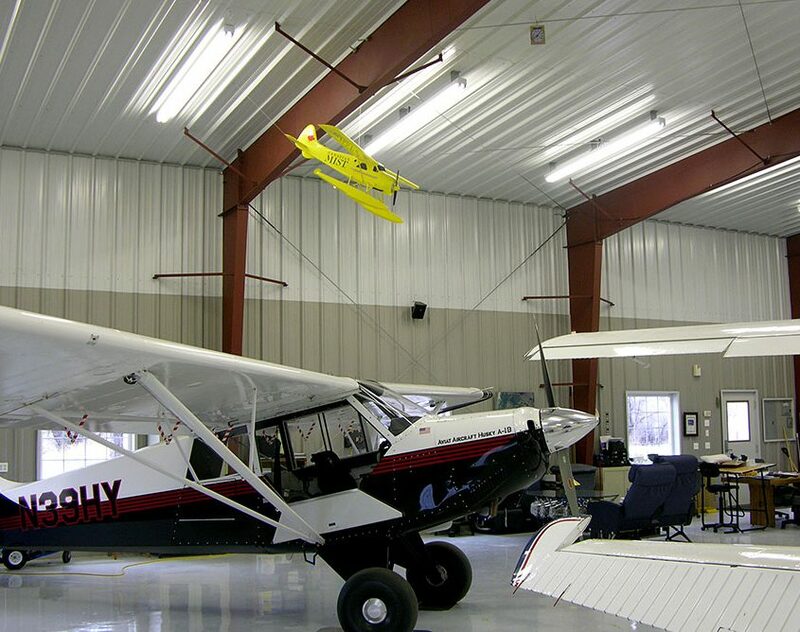 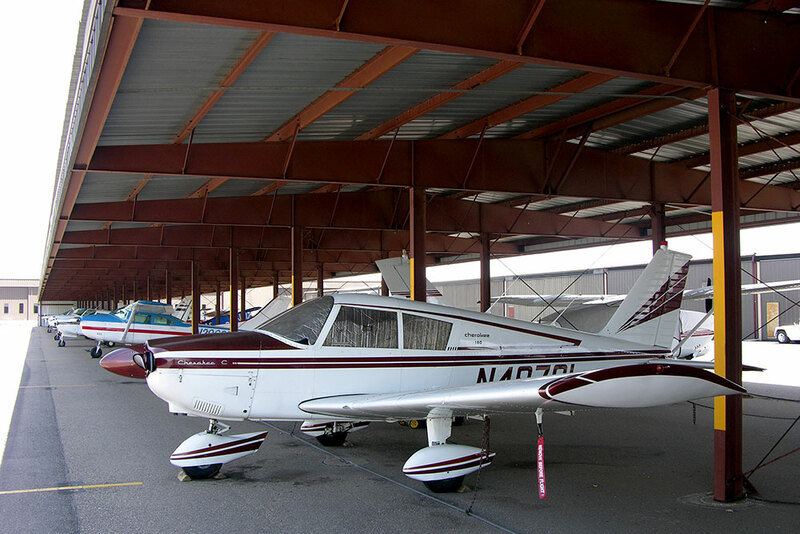 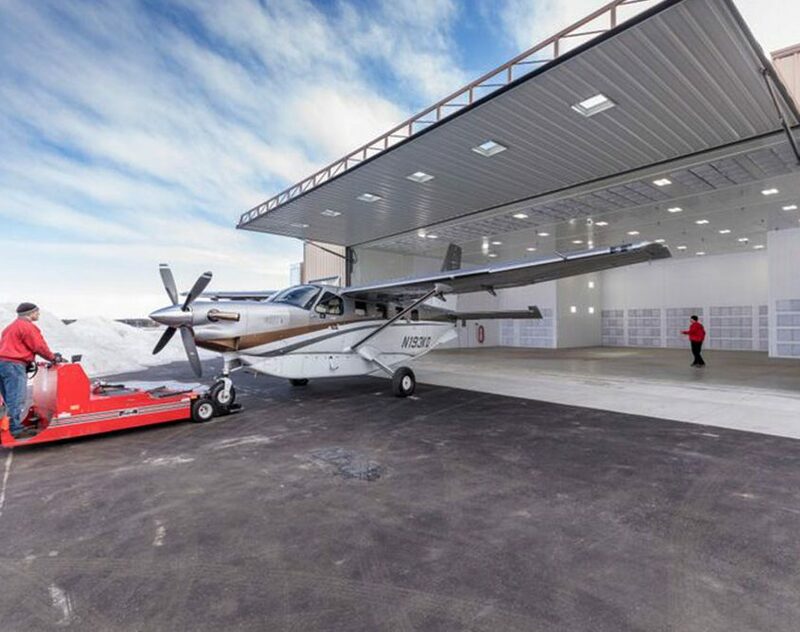 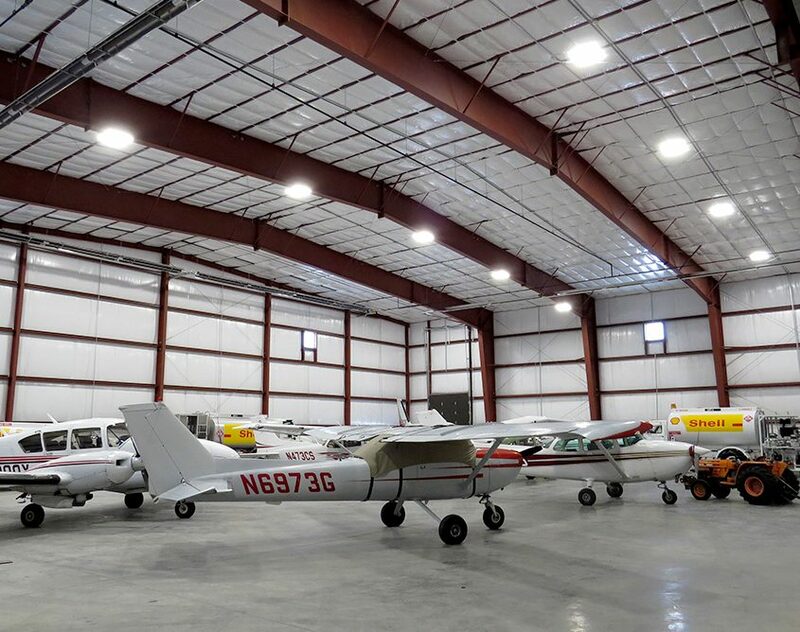 Bifold, hydro-swing and double-sliding doors are just a few of the options that allow you to to access your aircraft in and out with ease, and you can also utilize ridge vents, skylights, canopies and other features when designing steel your steel aviation building. 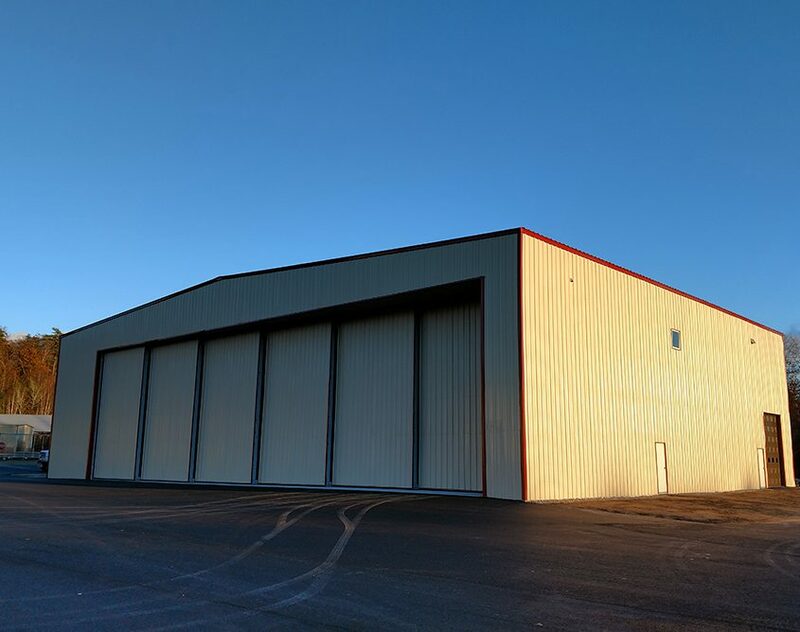 With a nearly 50-year history in the industry and thousands of metal hangars supplied worldwide since our inception, you can count on Sunward Steel to provide you with a building that protects your pricy investments while helping them retain much of their resale value at the same time. 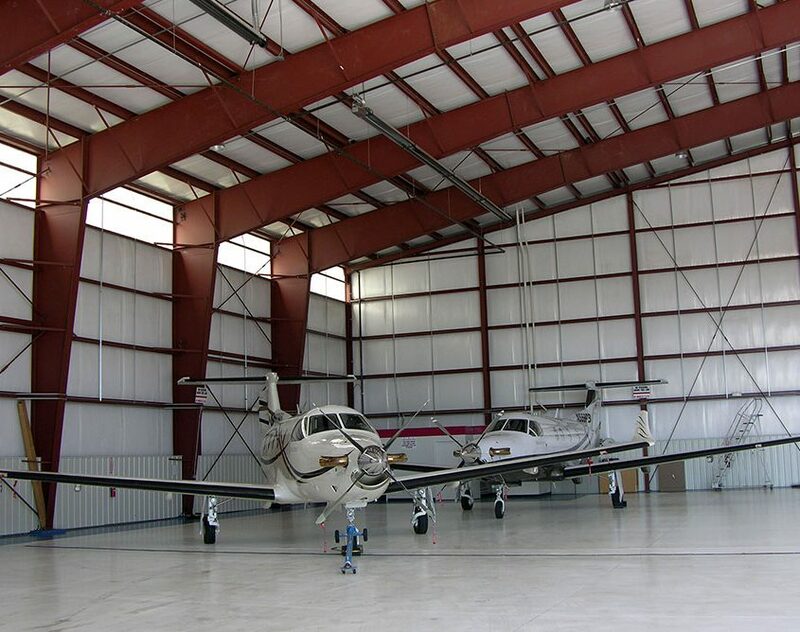 Bi-fold Doors are the most popular types of doors for hangar structures or any building type that needs wide access. 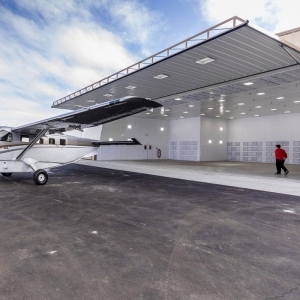 Bi-fold Doors are an incredibly durable, reliable option to secure your aircraft and protect it from harsh weather. 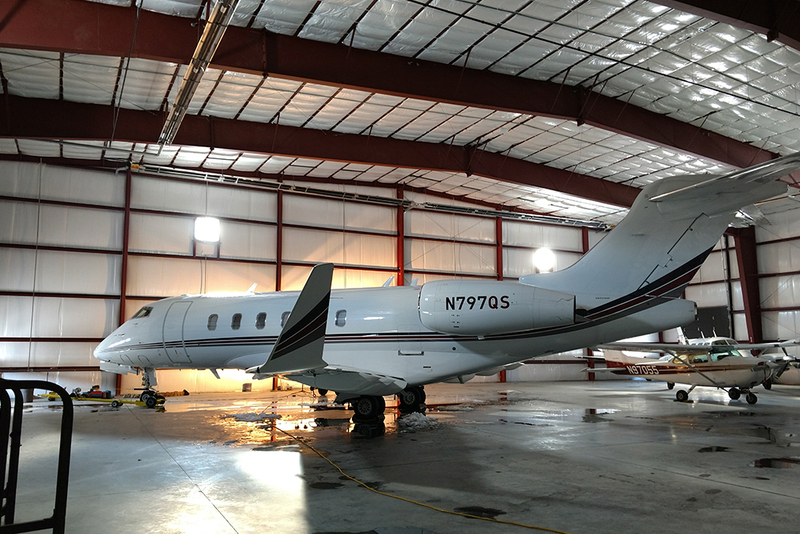 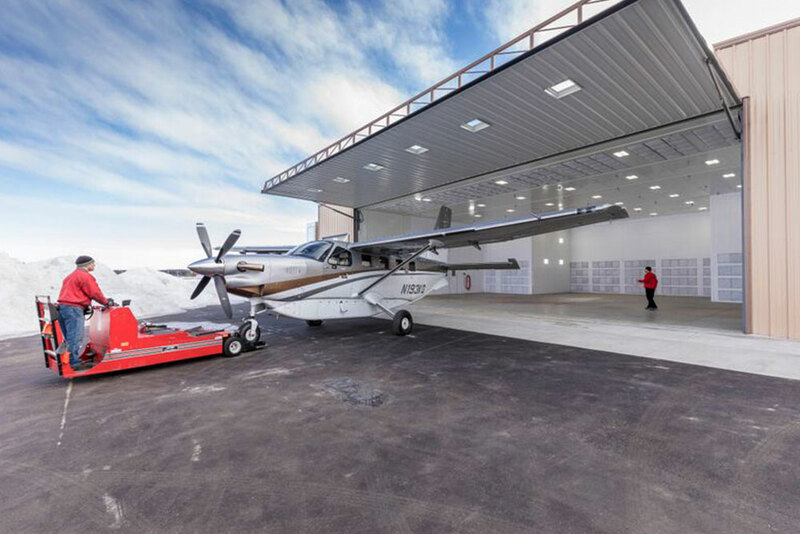 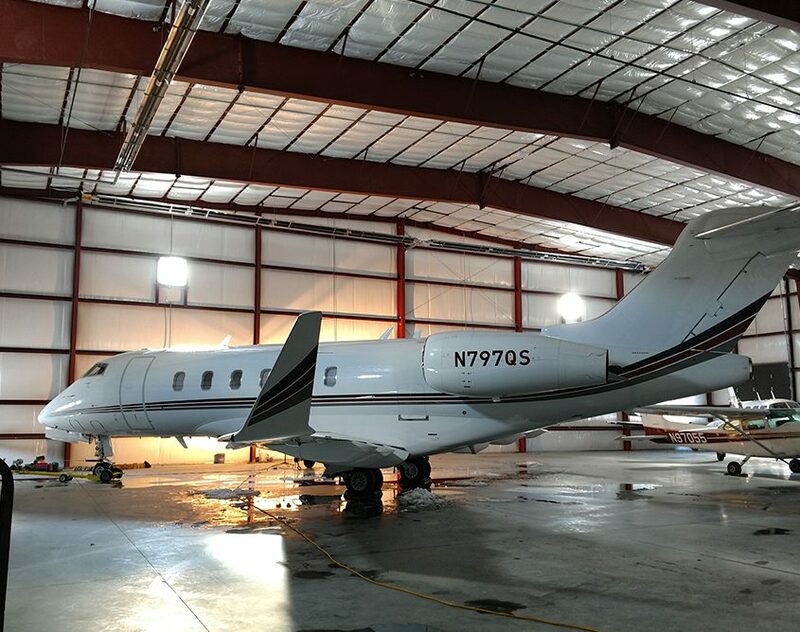 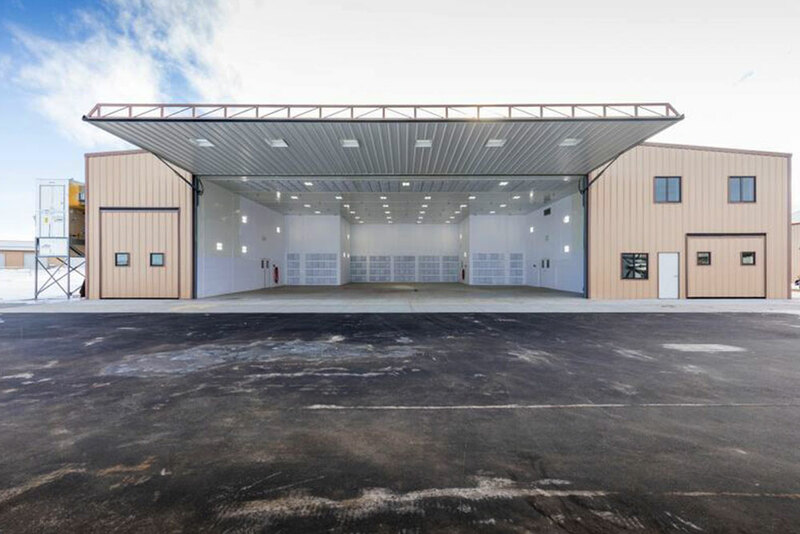 These doors allow you to move your aircraft quickly and easily in and out of your hangar. 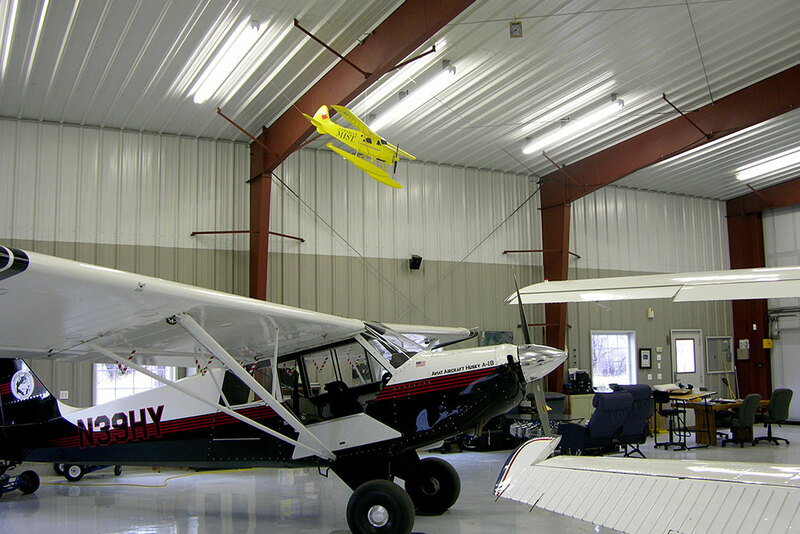 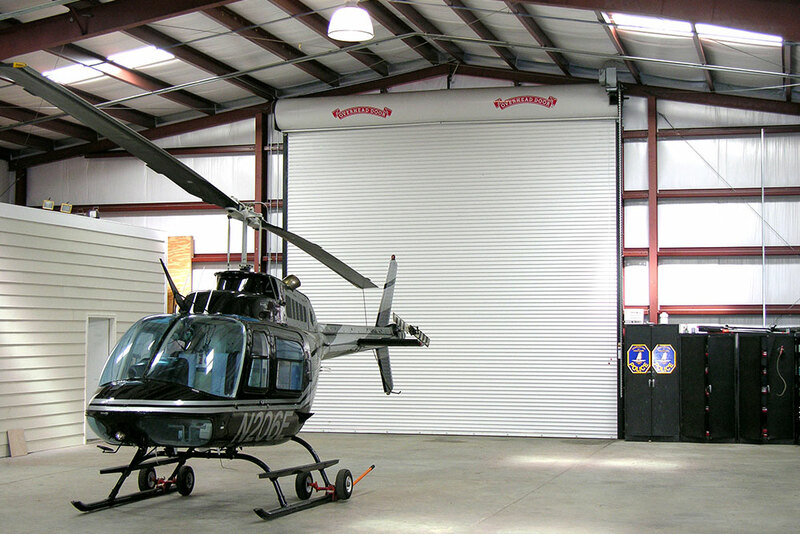 Bi-fold Doors give you full access to your hangar building’s available space. 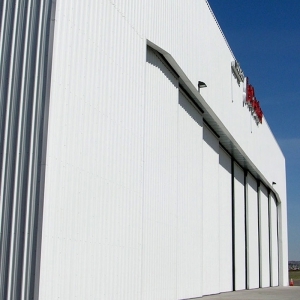 Sliding doors are also known as bottom rolling doors. 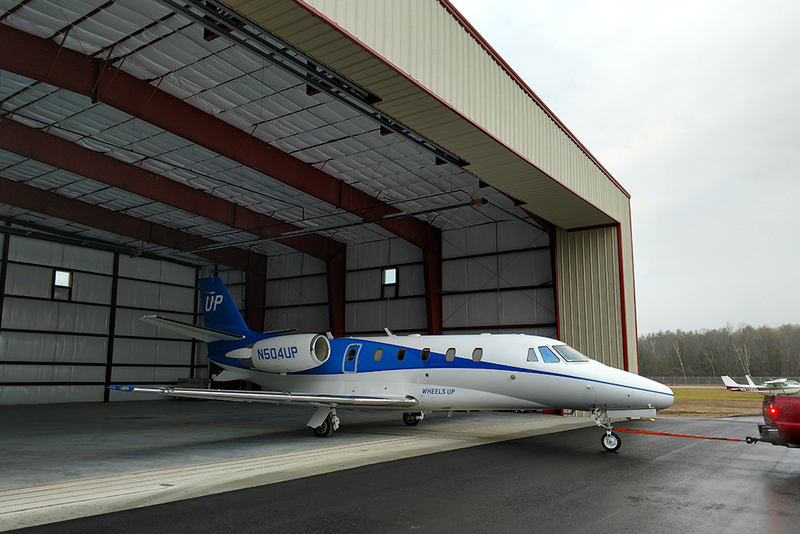 This is a better description as the door panels roll on wheels that are fitted to the bottom of the door. 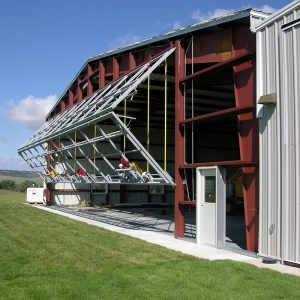 The wheels roll on rails that are embedded into the floor system. 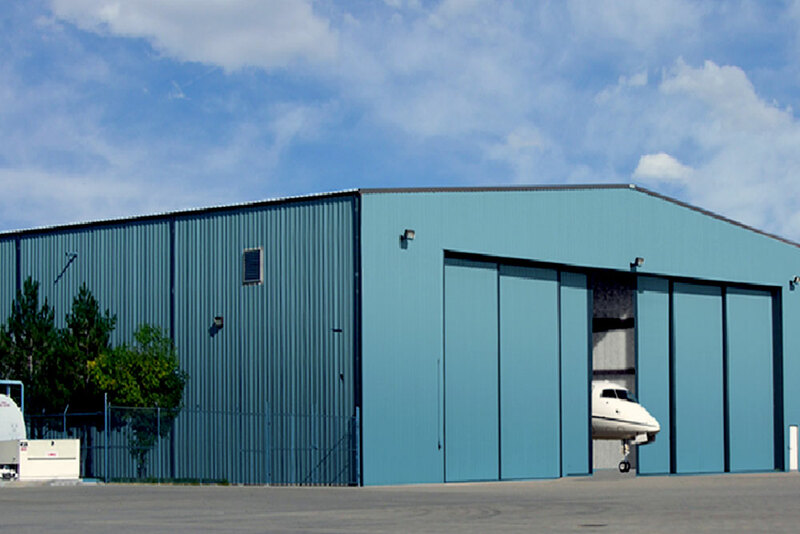 Sliding door panels are individually controlled and operated, this is a good option for accommodating large aircrafts. 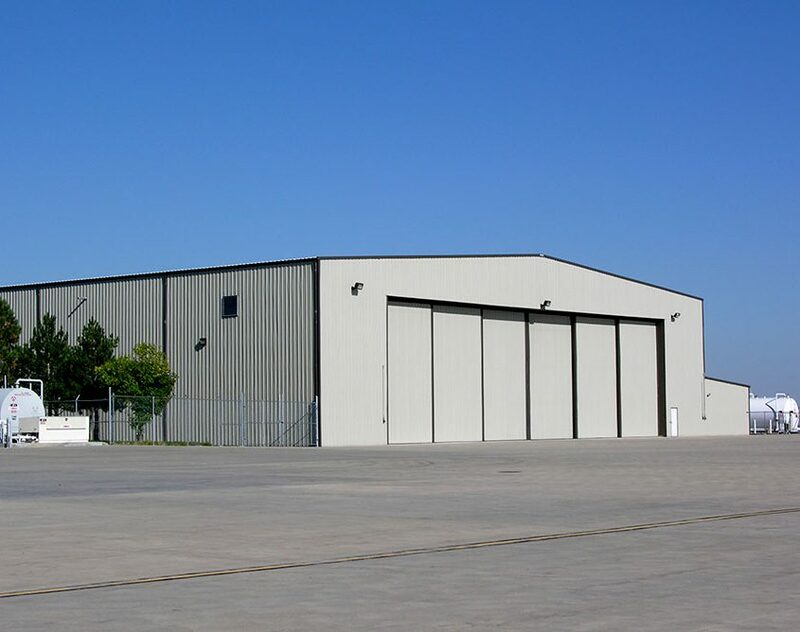 Many aircraft hangars utilize solid sliding doors. 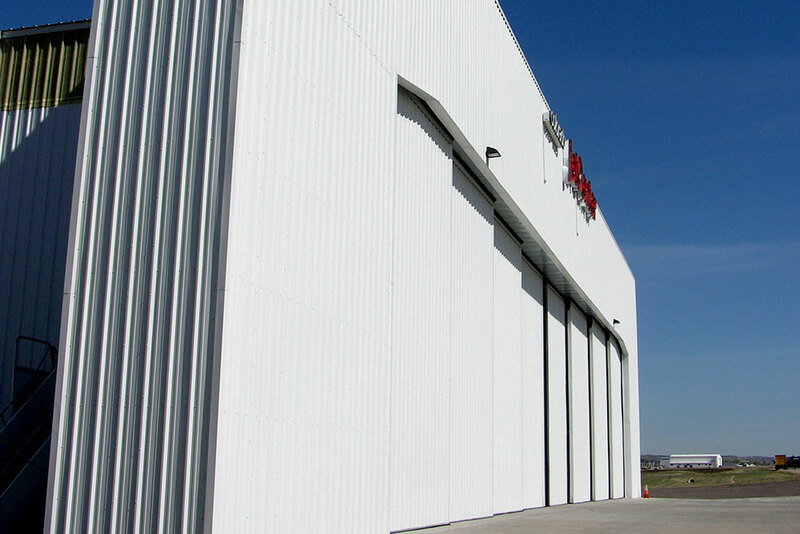 These industrial doors can be pocketed curtain stacking doors that slide into an opening or housing compartment where they fold and stack. 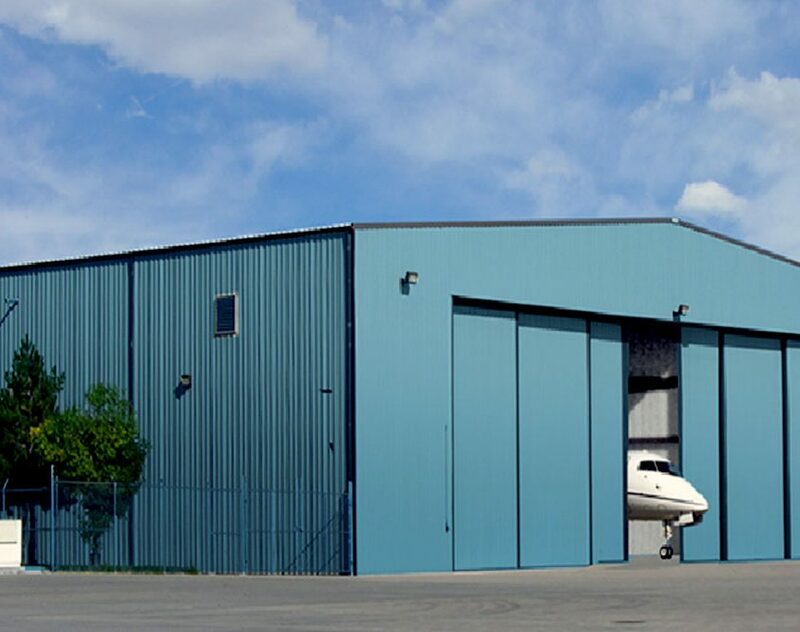 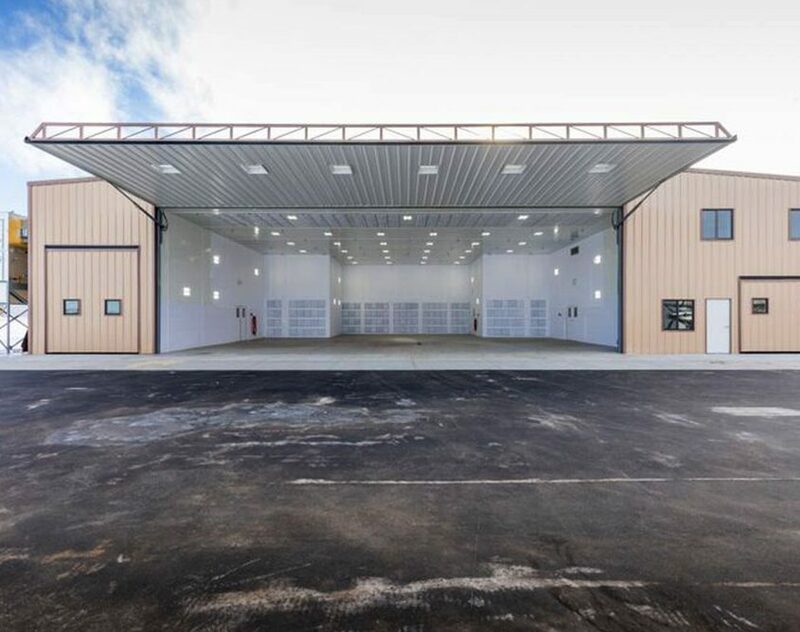 The compartment for the stacking doors is usually on the front side of the hangar building in an effort to increase the amount of space within the facility. 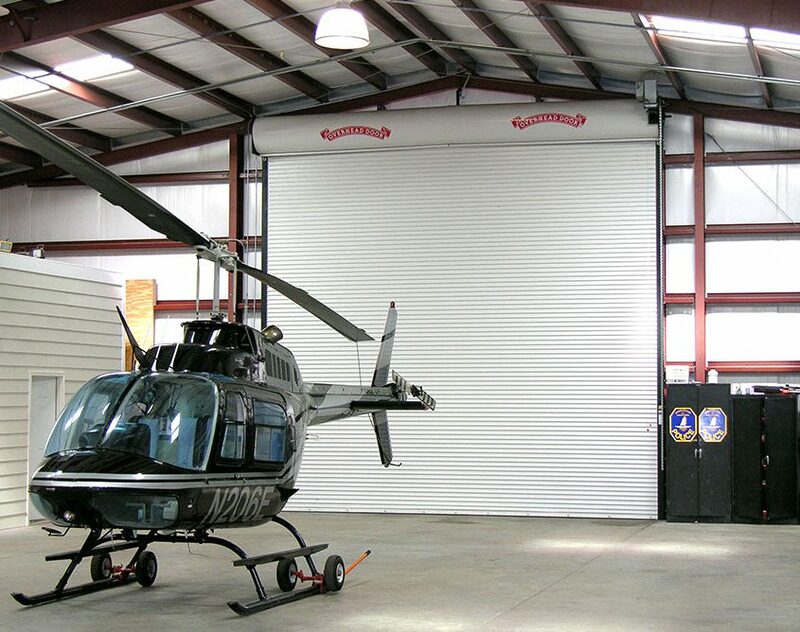 Unlike most types of hangar doors, the Curtain Stack Door is not installed within the framed door opening. 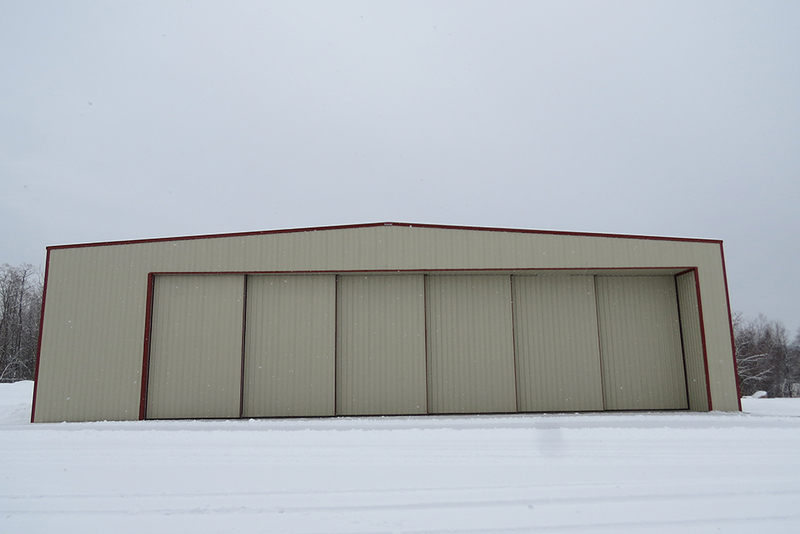 It mounts on the outside of the building. 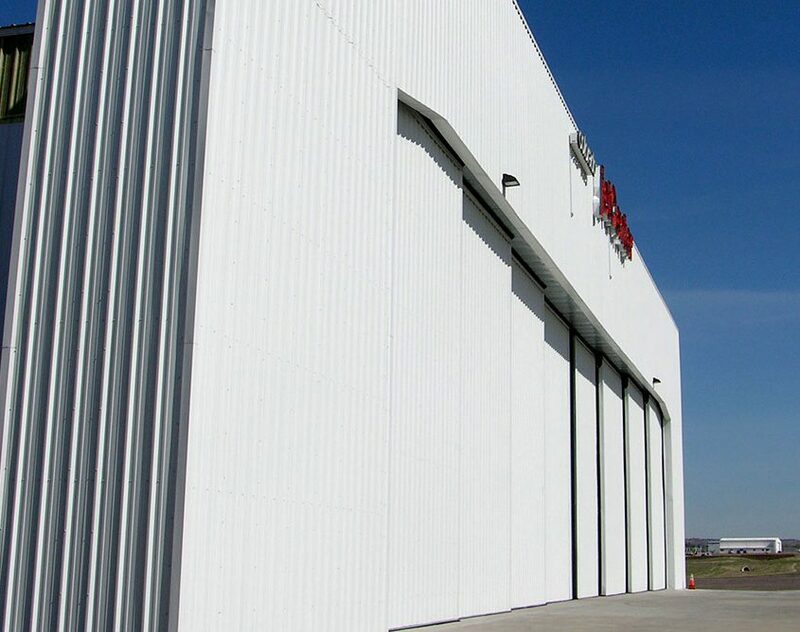 This door design allows easy functioning, the curtain stacking is enabled by a quick turn of the handles located on every other panel, and then the Stack Door glides on its bottom track to stack out of the way. 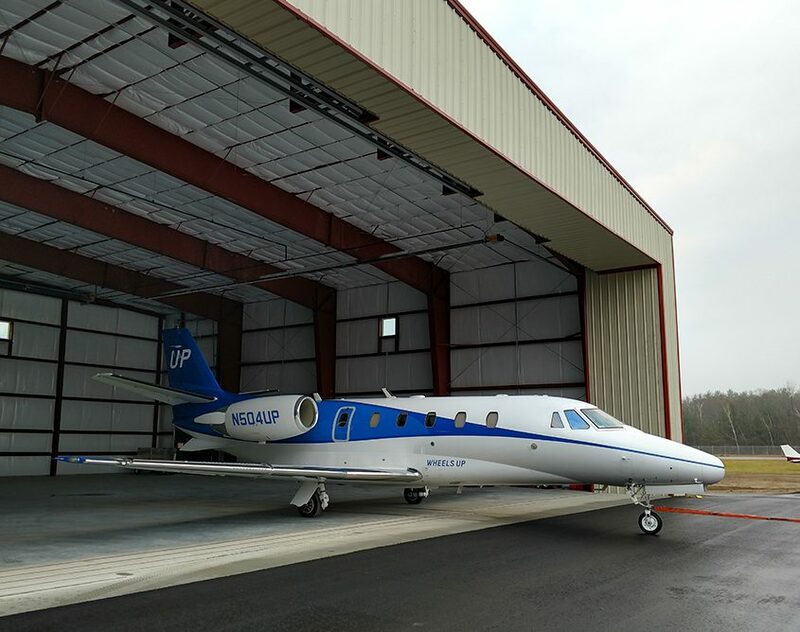 Hydraulic Doors work great on any aircraft building, but are especially beneficial for hangars that have a low clearance space. 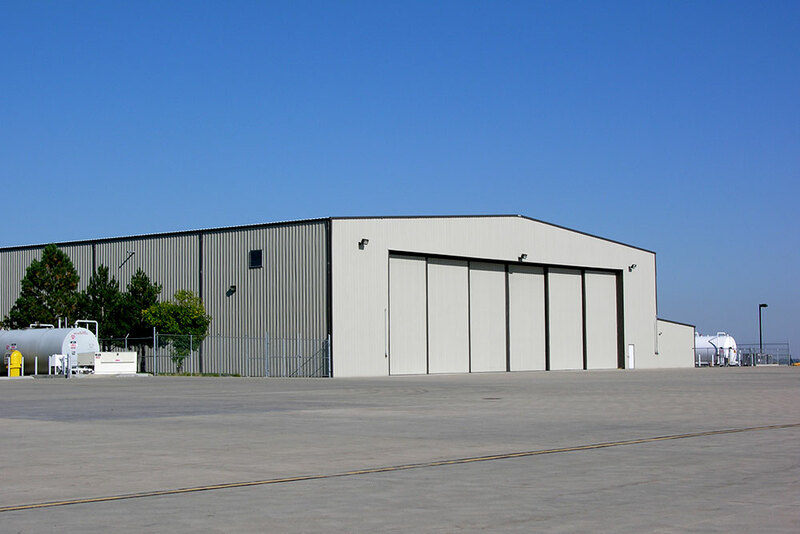 They provide a unique lay flat design feature that allows you to utilize more valuable headroom. 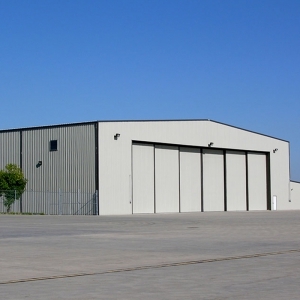 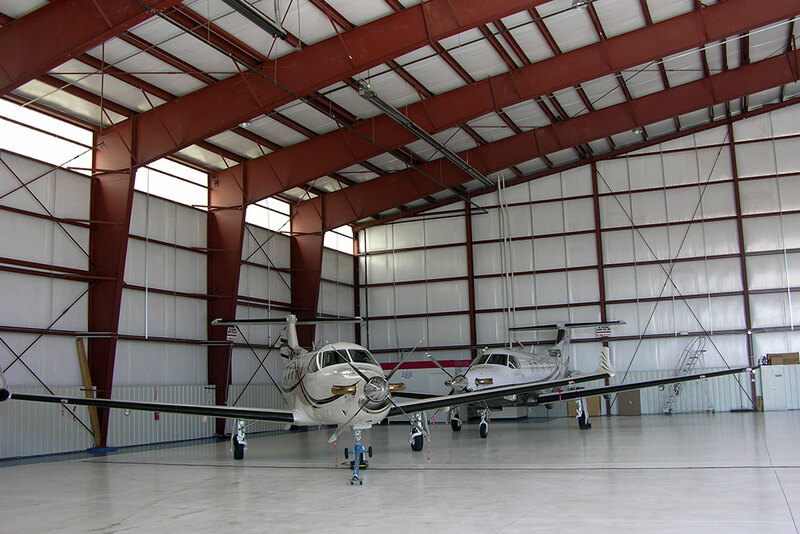 Interested in an Aircraft Hangar?